WILLEMSTAD - The first edition of the Extreme Power Competition took place yesterday at Waaigat. The six participants competed during various activities in which they showed their strength. 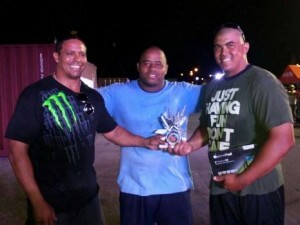 The title of the strongest man of the island went to Daley Pinedoe. There were several activities in which the candidates showed their strength, such as towing a truck, tilting heavy tires and lifting 320 pounds of iron. The organization welcomed a large turnout. "We were positively surprised by all the comments and hope to organize this event next year."